Cotting Court Condominiums are tucked off of Peachtree Street on Peachtree Place. 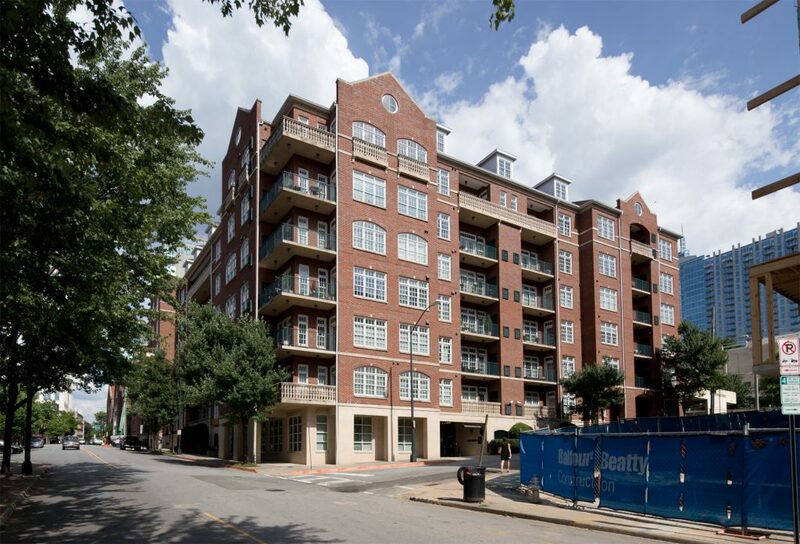 Although new in construction, the location is rich with history.Cotting Court Condominiums was created as a legacy to one of Atlanta’s most renowned – Mr. & Mrs. David Cotting. Married to Frances Beayley in 1845, David Cotting was a well-known teacher, editor and lawyer. He served as Secretary of State from 1868-1873 and was also a member of the Constitutional Convention in 1868. After his death in 1874, his widow chose to make her home in Midtown. The Frances Cotting Estate, circa 1800s, was located just one block off Peachtree on what is now known as Peachtree Place. Today, Cotting Court Condominiums is built on that very same site. Here in this exclusive enclave, homeowners enjoy the rare opportunity to own a refined, luxury condominium residence in fashionable Midtown, while enjoying the legacy of one of Atlanta’s most prominent families. The Cotting Court Homeowners Association has a no leasing policy.